Rodney R. Parker; Richard A. Van Wagoner; Frederick Mark Gedicks; Snow, Chrstenensen and Martineau; Kenneth A. Okazaki; Stephen C. Clark; Jones, Waldo, Holbrook and McDonough; Attorneys for Appellees. Mark L. Shurtleff; Utah Attorney General; Thomas C. Horne; Arizona Attorney General; Jeffrey L. Shields; Zachary Shields; Callister, Nebeker and Mccullough; Attorneys for Appellants . Brief of Appellee, The Fundamentalist Church of Jesus Christ of Latter-Day Saints v. Horne, No. 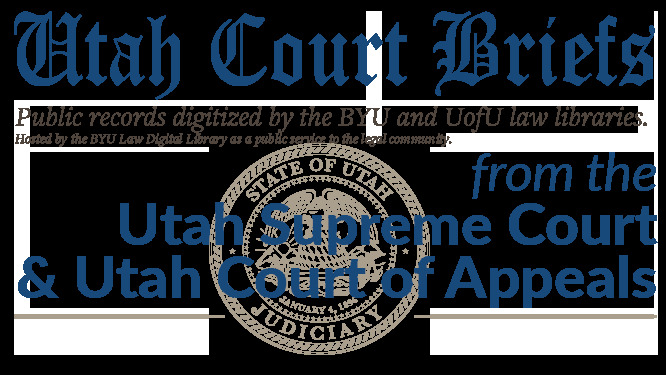 20120158 (Utah Supreme Court, 2012).